ABOUT. ANDIE DUNCAN. MOTHERLOAD VO. 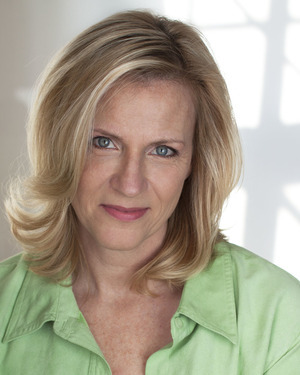 Andie Duncan is an accomplished voice actor – and, you guessed it, a real-life mom, too – whose broad ranging vocal performances have appeared on radio, film and television. She made the leap to voiceovers in 2010 after two decades as a singer-songwriter and performer, which saw her open for artists including Joe Cocker, k.d. Lang and Sarah McLachlan’s Lilith Fair (Andie’s in the flowered dress), just to name-drop a few. Andie’s JUNO and VAA Nominated voice has reached audiences worldwide for companies including Airmiles, Arby’s, Arla, A&W, Acura, Allstate, ALDO … and that’s just the A-list from her MotherLoad of great clients! Beyond all her supermom, free-range mom, mommy dearest, sancti-mommy, soccer mom, helicopter mom, tiger/pick your animal mom, and who-knows-what-they’ll-call-the-next-mom vocal insight, Andie has the natural facility to communicate with optimum impact, articulating your brand message from authoritative to warm and reassuring, or from the playfully comedic to the downright sultry read. Hey, and if that’s not enough, she’s loads of fun, faster and more efficient than a mom rockin’ carpool, school conferences, a work deadline, Costco trip or a baby & me yoga class – all before lunch. And she can take and follow your direction before you get the chance to tell her that there’s some puke she may have missed on her shirt. From the ISO booth in her professional midtown studio, Andie can connect to clients and be directed via Skype, Source Connect and ISDN … or tin cans and string if you want to kick it old school. 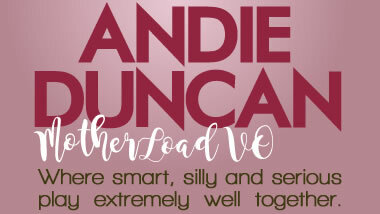 So, go take the VO load off your back with Andie today – and don’t forget to call your mother!